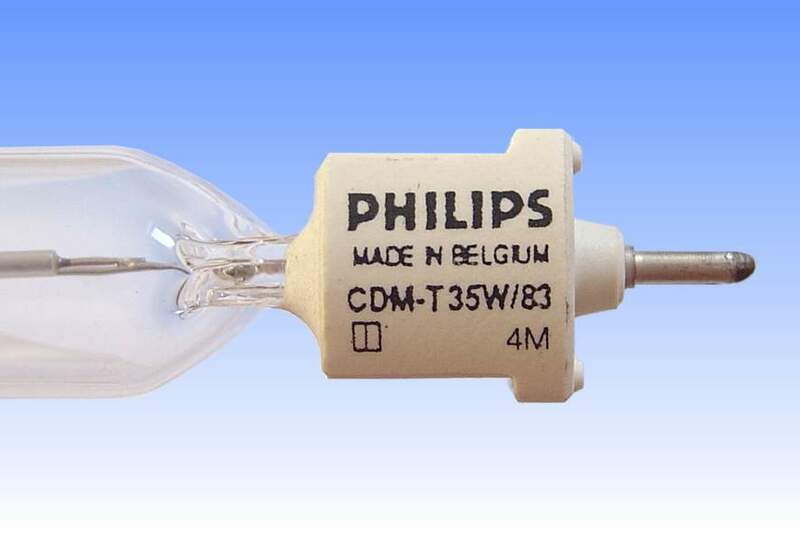 In the Autumn of 1994 Philips unveiled a radically new kind of light source, and announced the first successful design of metal halide lamp employing a ceramic arc tube. This 35W single ended product was the first to market. Ceramics have several advantages over quartz as an arc tube material, most notably that they can better withstand the corrosive nature of the metal halide salts. Thus the arc tube wall temperature can be raised, bringing with it an increase in halide vapour pressures and a consequent gain in luminous efficacy. Colour rendering properties are also improved. 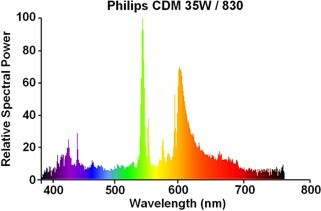 Colour stability from lamp-to-lamp is enhanced in this high temperature state, and the greater consistency in shape of the ceramic tubes also minimises colour variations. The lamp was made a commercial success by mastering a new seal technology. Niobium is the traditional seal in ceramic lamps, but it is attacked by halides and is unsuitable for a metal halide lamp. 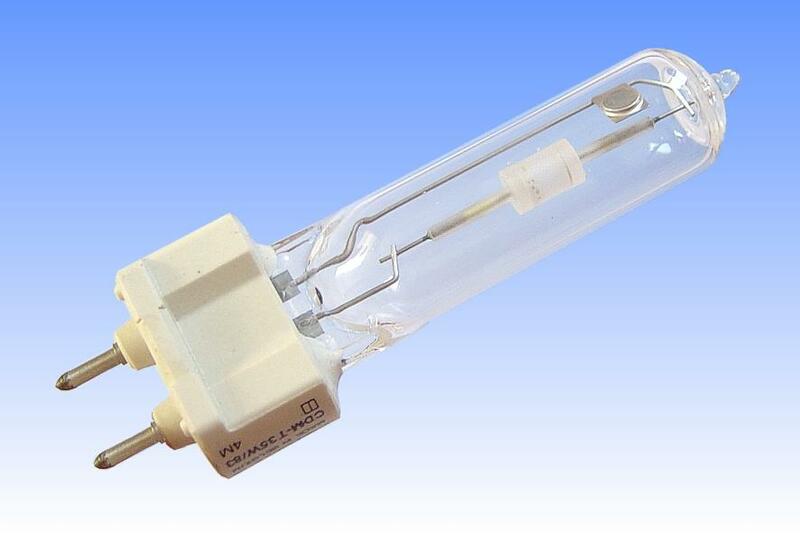 Thorn's earlier TSH 150W lamp employed halide-resistant cermet seals but the frit was only semi-resistant, and had to be kept so cold that full lamp performance could not be achieved. 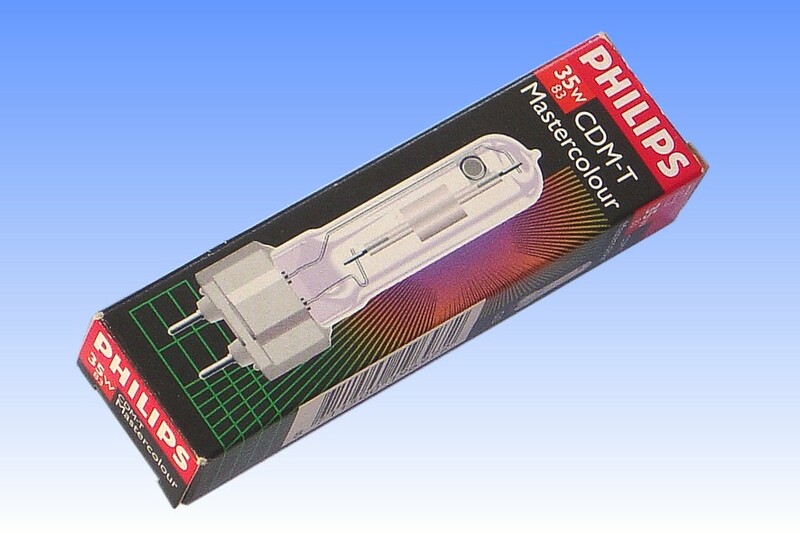 The Philips Protruding Plug concept is employed in this arc tube, a further development of the White SON lamp. 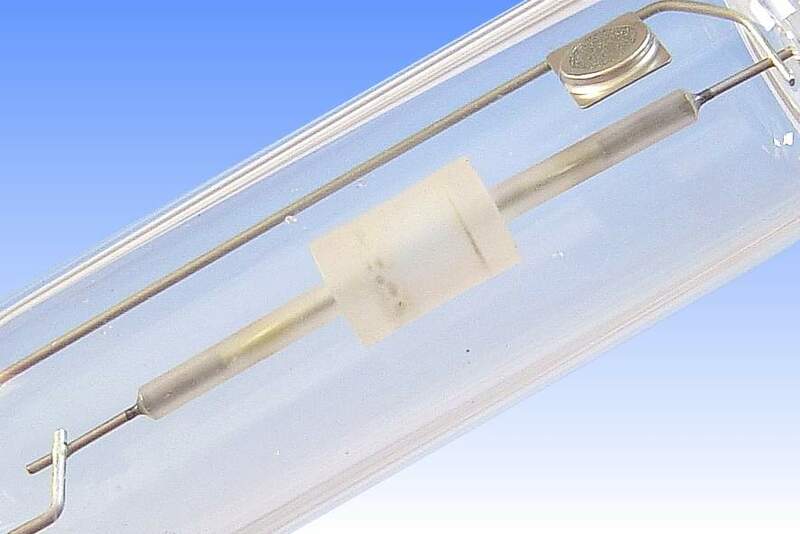 The seals are made to niobium wires in narrow capillaries, some distance from the arctube to keep the temperature down, and so narrow that the halide remains in the hot arc tube body. The niobium is welded to a short molybdenum piece, the join being also frit sealed, making the seal fully halide resistant. To prevent cracking due to the different thermal expansion coefficient of moly, it takes the form of thin wire spiralled over a central rod which acts as a successful stress relief mechanism.